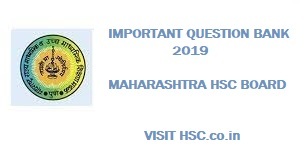 We have created Most Important Question Bank which will help students in scoring good marks in HSC Board Exams. HSC Board Exams are fast approaching and students are getting anxious about how to prepare for their HSC Board Exams. So we had mentioned some HSC Study Tips to help students in Cracking HSC Exams. Distinguish between Bonded warehouse and Duty Paid warehouse. Middle level management v/s lower level management. State any ‘five principles’ of management given by Henry Fayol. Distinguish between Joint Hindu Family firm and Joint Stock Company. In partnership the liability of partners of a firm is unlimited. Give reasons. Explain the Consumer Protection Act. It is easy to set up e – business as compared to traditional business.Give reasons. State the social responsibility of business organisations towards consumers. Coordination is needed at all the levels of management.Give reasons. Distinguish between Organising and Staffing.